Si te interesa participar en nuestra campaña, contáctanos. ¡Te enviaremos información sobre cómo ayudar! Nuestras comunidades merecen que alguien represente y luche por nuestras familias en el Congreso. ¡Tu contribución nos ayuda a alcanzar la meta! Esta campaña es de la gente y para la gente. Únete a la lista de personas que apoyan a Tatiana Matta para el Congreso. El Distrito 23 de California está integrado por los condados de Kern y Tulare, y la porción noreste del condado de Los Ángeles. Aquí puedes ver nuestro distrito en su totalidad. La fecha límite para registrarse para votar es 15 días antes del Día de la Elección. ¡Registrarse en línea es fácil y rápido! Go to our site's English version. I hope you are enjoying the Holidays! It’s been a little over a month after the midterm elections, and I want to share with you some thoughts about this past season. I first, want to say THANK YOU. It was my honor to run for Congress with your support. To all who voted and volunteered I will forever be grateful. Thank you also to all who donated to our grassroots efforts, it made a real difference. Even when we did not achieve a win, we organized and advanced the goals that we set up to do. We made significant progress in a heavy Republican district. Across the nation, voters sent a clear message that politics, as usual, will no longer be. In our district, 74,000 voters also sent a clear message. Throughout the campaign I traveled across our district, knocking on doors actively listening to our community. I understood early on that this campaign was never about me, it was always about the moms and dads working two jobs to make ends meet, about the ability of our seniors to retire with dignity, about honoring our veterans, and ensuring our next generation has a good future with clean air and water. This election might not have gone our way this year, but I hope with the information provided you know the tangible impact that you made. I'm humbled by the kind messages urging me to run again in 2020. At this time what I can say is that I'm focused on answering the questions I addressed above. I'm working on creating a platform to ensure more activists and leaders have a voice. 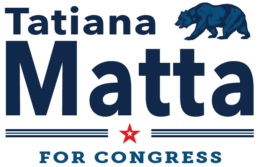 There’s much work to do, and with your support I know I will make a difference in the future of our district, state, and country. I will keep working hard to advance our collective voices and move our party forward. To fellow Democrats, there is no time to fight; we only have time to organize and mobilize. The California ADEM Elections are a few weeks away, and we must ensure that we elect community leaders who will keep advancing the progress WE made. No time to go back. Please stay involved, register voters, create forums to talk about issues and get behind candidates that share your passion and vision. I will do the same.  Tatiana Matta for Congress © 2018. All rights reserved.